People are the most important asset of any care provider and are at the heart of any successful organisation. Yet we still see many providers struggling to track and make sense of complex training matrices. Busy managers often lack the tools and systems to provide detailed and accurate data on simple key performance indicators such as training completed, levels of compliance including those ‘At Risk’, attendance at classroom courses, refresher training and qualifications completed. In some instances, we know that some providers actually ‘guesstimate’ key people metrics when reporting to senior management, a situation that can lead to poor decision making and often result in costly mistakes. Changes to registration: CQC Registration will focus on senior management and leadership teams who ultimately are responsible for quality within their services. This means enforcement, where required, will be targeted at a corporate level and not at service level as exists at present. Changes to inspection: CQC’s inspection methodology will sharpen its focus on sustainability and continuous improvement. Key questions will include: “How does the service continuously improve and ensure sustainability”. Changes to ratings: Characteristics of a ‘Good’ ratings that all providers should pay particular attention to include: “Staff have objectives focused on improvement and learning. Leaders, managers and staff consider information about the services performance and how it can be used to make improvements. Performance information is used to hold staff to account”. Faced with these changes, ‘guesstimating’ performance data is no longer an option. The penalties for inaccuracies in your learner data could be severe and far reaching. Care Academy has been helping our clients deliver their training strategies for 20 years. We work with clients of all sizes and can offer a programme of support designed to help you automatically deliver all of your training requirements and simultaneously generate real-time, on demand reports. 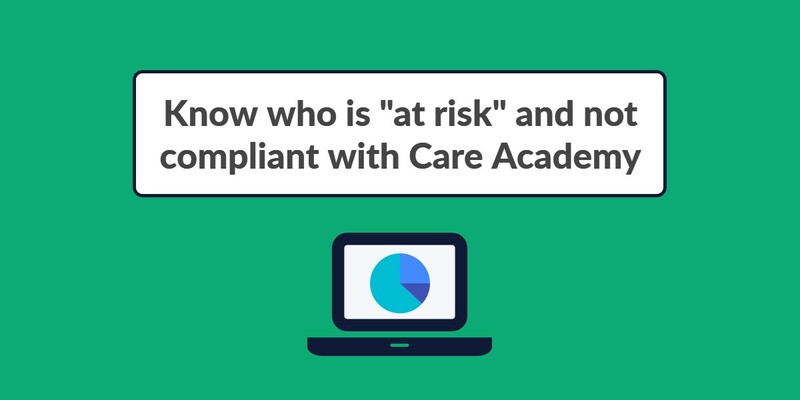 We put you back in control, giving you the reports you need for senior management updates along with the data and evidence CQC inspections will demand. Contact us now on 0330 995 0840 or complete our online form for an informal discussion about how we can help you manage and grow your organisation.